We believe that by examining the different styles and types of Qigong presented by these Masters, the student will be able to determine which exercises are best suited for their particular needs. The student has to be aware of their physical limitations while practising any of the exercises suggested by these Masters. The exercises are usually very simple and straight forward to most people. The intensity of the exercise varies with each student. 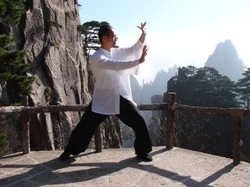 Five or six years ago, Sifu Wing Cheung introduced us to Shibashi, eighteen qigong/taichi moves. Many seniors prefer the Shibashi Forms and Qigong to that of Tai Chi because you do not have the stress of trying to memorize many of moves. So Shibashi lies somewhere between Qigong and Tai Chi, this is why we call it the Alternate Path. At this writing we currently practise Shibashi #1, #2,#3 and #4. The Schedule for Shibashi is the same as for Qigong. 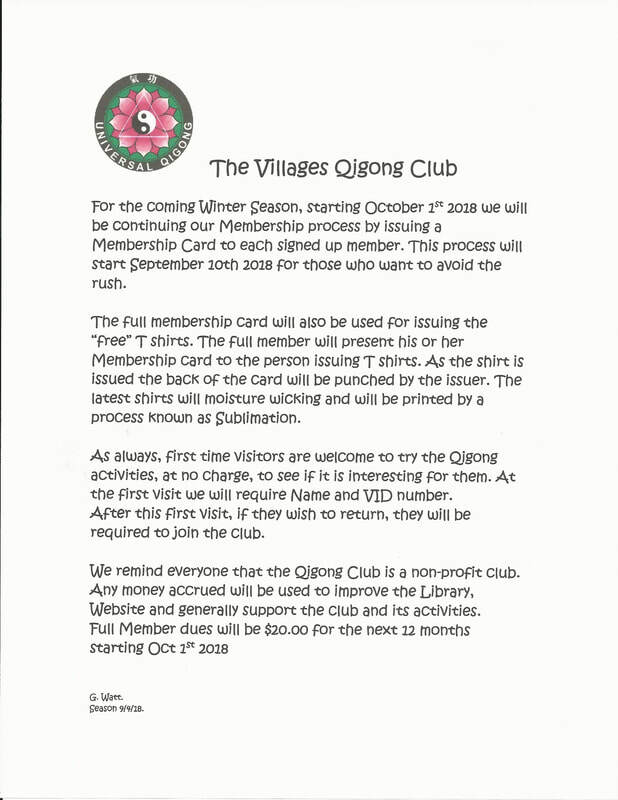 There are a couple of forms of Tai Chi practiced in the Villages. The Yang style has been the preference for the last ten years or so. See the Yang Style Tai Chi schedule below. Qigong and Tai Chi Schedule.